Keeping the air in your home fresh and clean throughout the cold Minnesota winter can be something of a challenge. When the arctic blast hits, doors and windows get closed up, and most of us keep our homes cooped up for the season. Without much fresh air, the indoor air quality can become pretty stale quickly. When the air gets colder and dries up, the air in your home can circulate all kinds of particles and odors. At Dust Doctors in Minnesota, we offer several options to help you maintain good air quality in your home during those winter months. Although most are invisible to the naked eye, all kinds of particles and biological contaminants float around in your home’s indoor air. Some of those particles include bacteria, viruses, mold, mildew, pet dander, allergens, and dust mites. These contaminants can end up circulating within the HVAC system of your home and residing in the vents and air ducts of your home. Microorganisms in your home’s ventilation system can contribute to upper respiratory problems, allergies, hay fever, and asthma. They can also compromise your family’s health during the cold winter months. Besides the contaminants that may circulate in your winter home, the air in your home can also become quite stale or stuff during the winter months. Any odors that linger may be difficult to remove, giving the air in your home a musty quality. Dust and debris from holiday traffic add to the problem. Without the ability to open the windows and air out your home regularly, your home may be in dire need of a little refreshing. We offer a wide range of options to help get your home feeling and smelling fresh again after a long winter stuck indoors. 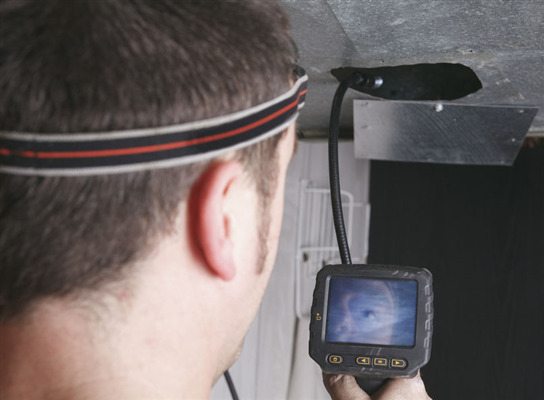 We offer complete duct and vent cleaning services for all levels of cleaning. Our air purification experts can also use ultraviolet air systems to eliminate biological contaminants in your home’s existing ductwork. We also offer whole home humidity control to help restore your home’s comfort level when the dry, cold hair takes hold. When the frosty winter air takes hold, and your family starts spending more of their time indoors, you need to know the air they breath is safe and free of unwanted particles. Our home air purification professionals at Dust Doctors in Minnesota know how important it is to maintain healthy, clean air in your home. If you are concerned about the impact of stale, dry air or biological contaminants on your family, we can purify your home’s air by cleaning out your ducts and HVAC system. When you’re tired of waking up with dried out sinuses, and you are ready to kick those winter dust mite allergies, our team is ready to clean your home’s duct and HVAC system. To learn how we can help, give us a call at 651-319-9777, or contact us online. « How Does Whole-Home Humidity Control Work? Sign Up for Our Annual Plan, You’ll Be Glad You Did!